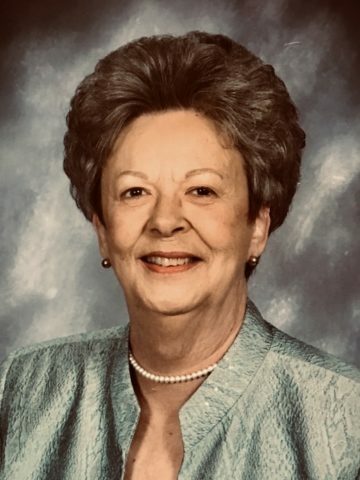 Josephine C. Womack, 83, of Gallatin died Monday April 1, 2019. She was born November 17, 1935, in Cottontown, Tennessee to the late Iris Mercedes Brigance Carr and Cloyce Sidney Carr. She is also preceded in death by her granddaughter, Lynzi Morgan Owens Lafferty, as well as five siblings. She is survived by her brother Sid Carr (Faye); her two children Rusty Womack (Penny) and Liz Hadley (Mark); five grandchildren, Justin Womack (Kristin), Peyton Womack (Jenna), Landon Hadley, Marlee Hadley, and Brittany Hadley; and two great-grandchildren, Mia Womack and Kekoa Womack. Jo worked as a clerk at Randy’s Record shop in the 1950’s and 1960’s. In the mid 70’s through the early 90’s, she was the office manager for Enoch Veterinary Clinic. Jo was an avid reader, specifically historical novels. She enjoyed historical research and researching her family genealogy. She played piano all her life, with a great love of music. In addition, she also taught day school for two year olds and second grade Sunday school for many years at church. The family will receive friends on Friday, April 5, 2019 from 2 p.m. – 3 p.m. at Crestview Funeral Home, 1623 Old Hwy 109 N., Gallatin, with a service immediately following, beginning at 3 p.m. In lieu of flowers, donations may be made to First Baptist Church in Gallatin, towards the Starting Strong Ministry. Our deepest sympathy to all the Family in the passing of Jo. She was a long time friend, classmate and one that will be missed. May the Lord give all of you much courage and strength at this time. Love and Prayers to all of you. God Bless. My condolences to Rusty, Liz and the rest of the family. Jo was a kind hearted person with great strength. Treasure your memories. I enjoyed working with Jo at First Baptist with Sunday School and children’s choir. Jo was a fine lady who loved her family. Prayers for all the family.